With incidents of police shootings and brutality on the rise, one might expect police officers who draw attention to instances of police misconduct to be praised for their honesty and integrity. But a Gold Coast police officer was stood down from his job and charged with a criminal offence for doing just that. Sergeant Rick Flori spent 25 years in the Queensland Police Force until he was suspended earlier this year. 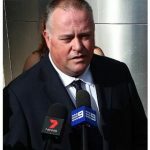 He is accused of leaking footage which showed four police officers brutally bashing a 21-year-old man in handcuffs at a police station carpark in 2012. The victim of the bashing, Gold Coast chef Noa Begic, was arrested and charged with ‘public nuisance’ and ‘obstructing police.’ But the horrific CCTV footage shows him being slammed face-first into the concrete floor of a Surfers Paradise police station, before being put into the back of a police van and repeatedly punched while another officer holds him still. The officers later wash Mr Begic’s blood away with a bucket of water. Section 92A of the Queensland Criminal Code 1899 makes it an offence for a public officer, including a police officer, to release information gained as a result of his or her office, or to perform or fail to perform a function of office, or to make an omission in abuse of the authority of office. 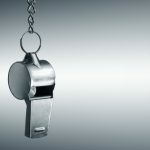 To be found guilty, the prosecution must prove that the act was done with the intention of dishonestly gaining a benefit for themselves or another person, or dishonestly causing a detriment to another person. 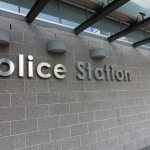 Police allege that Sergeant Flori committed the offence by ‘inappropriately obtain[ing]’ confidential surveillance footage from the Surfers Paradise Police Station CCTV room. Meanwhile, the officers who bashed Mr Begic were investigated by police internally, but only two of them faced any disciplinary action – and none were charged with any offence. The charges against Mr Begic were eventually dropped, and he considered suing police for his treatment – but ultimately settled the case out of court. After the incident, Sergeant Flori was moved to another department within a different police station, and was stood down after being charged. He now faces a maximum penalty of 7 years imprisonment if found guilty. 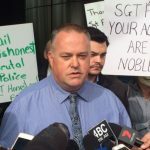 But Flori has courageously vowed to fight until the end, and his integrity has earned him the respect of the community, with supporters turning out in droves when he recently appeared in Southport Magistrates Court. A complaint has since been made by Council of Civil Liberties Deputy President, Terry O’Gorman, to the Crime and Corruption Commission – which is the same body that made the decision not to prosecute the officers who perpetrated the bashing. While the Commission says it will publish a statement on its website, it has also stated that there are limits about what it can say due to Sergeant Flori’s unresolved court matters.